advent idea! | Let their light shine! Earlier this week I saw a comment on Facebook that made me get a bit more organised that usual. It may be September but my advent calendar is all planned. I made a material advent calendar that has little pockets a long time ago. I laboriously wrote a Bible verse for each day and then over the years lost track of most of the verses. 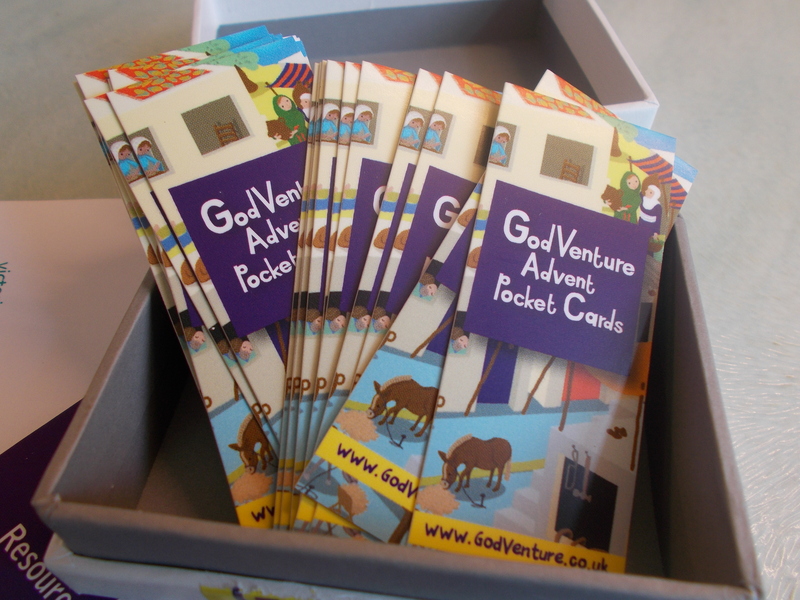 So when I saw the ad for ‘Advent pocket Cards’ produced by God Venture I made a purchase. They arrived today and are just right! 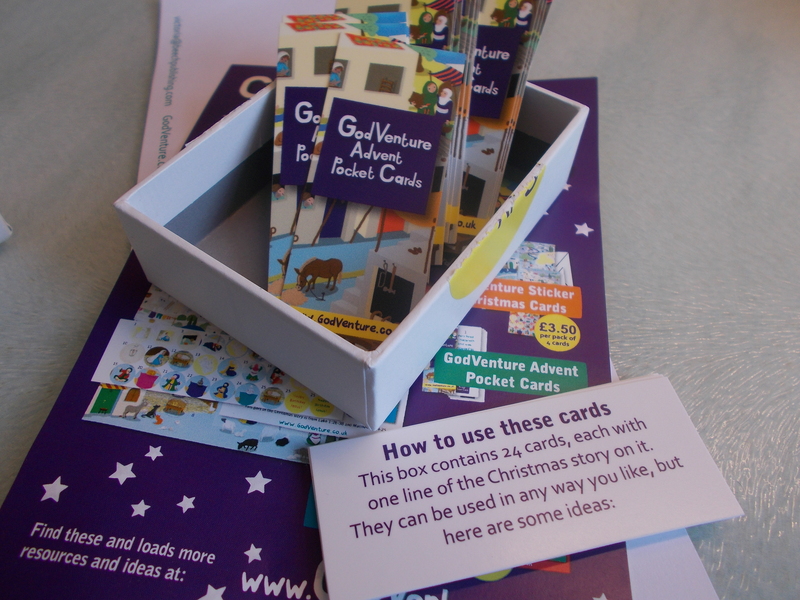 25 small cards with part of the Christmas story written on them. Just enough text for children to read before breakfast! There are ideas about how to use them – I’m not going to tell you what they are – you will have to buy your own set 🙂 They are good ideas that would work well. 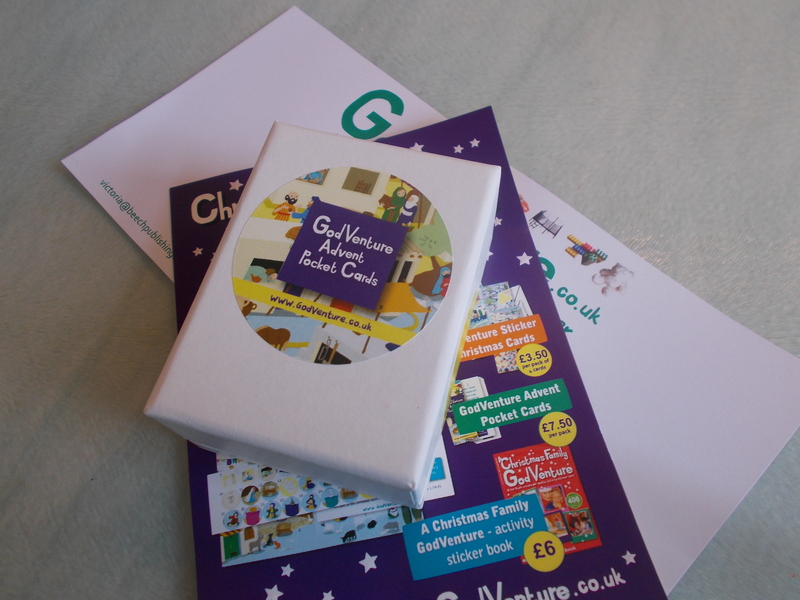 We will be using them in our family advent calendar but I think they could come in useful in Sunday School activities too. « all about me – I can smell!